“Gravity” sounds like another existential challenge to a filmmaker’s storytelling ability. It always sounds challenging when you have very few characters caught in a set piece (one thinks of “Life of Pi”, “After Earth”, “Castaway”, even “Predator”, as well as the upcoming “All Is Lost”.). In this 3-D film, space medical engineer Ryan (Sandra Bullock, as a kind of “Ripley” character) and astronaut Matt (George Clooney) are stranded in space outside a space shuttle module after a complicated accident. Where can a film take this? Well, Ryan is alone for a while, after losing her tether, and demonstrates how well people can travel in a three-dimensional world with air rights (something Trump knows) back to the US space station, which burns, then to the Russian, and Chinese stations, before coming back to Earth in a parachute, swimming to shore (I think in Mexico). Ryan proves that woman can fly, without being born with Clark Kent’s powers. (There are people who are so gifted.) The script does mention that the astronauts are covered with electrodes, perhaps shaved. The most interesting problem occurs early, and I’m not sure I buy the premise. A Russian satellite fails, causing a chain reaction of satellite explosions, sending space debris like bullets which destroys the US station and gear. That isn’t likely to happen just by accident – do the math. So maybe it’s hostile. Matt also says, “Half the world just lost Facebook”. It sounds like either there was a nuclear explosion with an EMP (electromagnetic pulse) knocking out all electronics for thousands of miles underneath, or some massive communications failure that destroys the Internet. I don’t know if that could happen without a total power grid failure, too. But the idea that a hostile power could launch an EMP or anti-communications attack from space, although novel, even in right wing discussions (as from Newt Gingrich) probably needs to be taken seriously as a potential national security issue, particularly if relations fail with Russia or China. Of course, an extraterrestrial invader could do this; it might be the first step of an alien attack. There’s a couple of interesting personal exchanges. Right after the accident, when the two have to become linked, Matt says to Ryan, “I know I’m good looking, but don’t look at me” as she has to pay attention to what she is doing. Was that inspired by a moment in Reid Ewing’s short film “Free Fish”, where Reid says to the camera, “Look at the fish, not me. No, you can look at me if you want”? Oh, it’s hard to be sexually attractive in a space suit, but maybe not in an aquarium. As a preview, there is a line like that in the upcoming “Captain Phillips”, but turned around to be hostile. Later, Matt has an occasion to say, “I know you’re attracted to me” after he amazingly catches up with her. Again, I don’t really believe it. But this is only “a story”. And sometimes I get the feeling that both major characters are really talking to the camera rather than each other. The official site from Warner Brothers is here. No question, the concept of the film invites 3-D. I saw it at the Angelia Mosaic in Merrifield, VA on a Friday afternoon, before a moderate weekday crowd, but the evening shows were already said to be sold out. ABC World News Tonight interviewed astronaut Michael Massimino. This film is supposed to be inspired by his 2009 space walk to fix the Hubble Telescope. 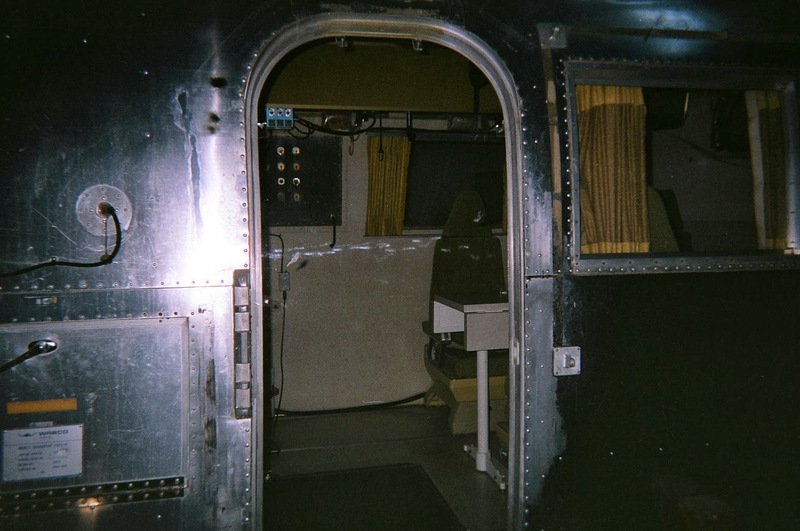 Picture: From the Smithsonian Air and Space Museum at Dulles airport, 2004. One nice thing about a movie like this is you can go to it when that museum is closed by the government shutdown.